The idea of this foundation reminds me of BB creams but heavier coverage. I had first purchased this in Golden, tried it on the next day, and I looked like an umpa lumpa. Not a good look. Puchased the Beige shade next as Warm Almond looked a bit too light for me. Beige was a better shade but still a bit dark for me. So it looks like I’ll have to purchase the Warm Almond and mix the 2 shades together as I did like the foundation in general. Which is a pain. I’m selling the shade Golden, best suited for those who have light-medium or medium skin tone and like to tan, olive undertones I’d say. Email me: yukluistyle@gmail.com. You can have a look at this previous post with me wearing the foundation. Light Ivory, Warm Almond, Natural, Beige, Golden, Bronze. Light Ivory, Natural and Bronze have pink undertones whereas Warm Almond, Beige and Golden have yellow undertones. Contains SPF 20 which is a plus. Depending on how you apply this, you can get a light – full coverage even though this is advertised as a high coverage foundation. I applied this using a stippling brush and my fingers. Stippling brush can give you a light application and is buildable. Using fingers can give you more of a medium to full coverage. 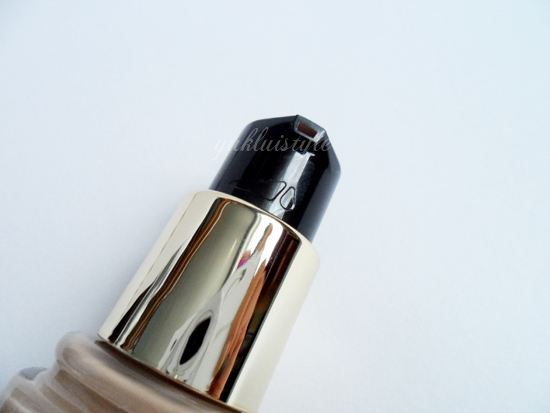 This foundation applied smoothly and blendable whether I’m using the brush or fingers. It doesn’t feel heavy on the skin, a little goes a long way to give a natural, flawless look. Too much and it will look chalky. To those who prefer a more lighter, natural look, you can mix it with your moisturiser. This does all the basics you want in a foundation, evens skin tones, covers redness and imperfections and lasts. Other benefits are: oil free, matte finish, oil control, blemishes, advantages to those who have normal to combination and oily skin. Got to make sure you’re free of dry patches and moisturiser sinks in. To those who have dry skin, I wouldn’t recommend using this as it will emphasise dry patches. After applying, this had covered my dark under eye circles as I have been sleeping late these days. Sometimes I may need to use extra concealer to cover any stubbon under eye circles, or spots I randomly get. Throughout the day, I had to blot once or twice from morning to night as compared to the few times when I use my current HG, Revlon Colorstay Liquid Foundation as I have a really oily t-zone. The foundation hasn’t broke me out. The only bad point about this is the colour range. Already spent a bit on this foundation and I’m needing to purchase a different shade just to mix it to get my perfect shade. There’s none really suited for darker skinned females. I’m the type of person to uses a primer, concealer and foundation, even when I’m in a hurry. 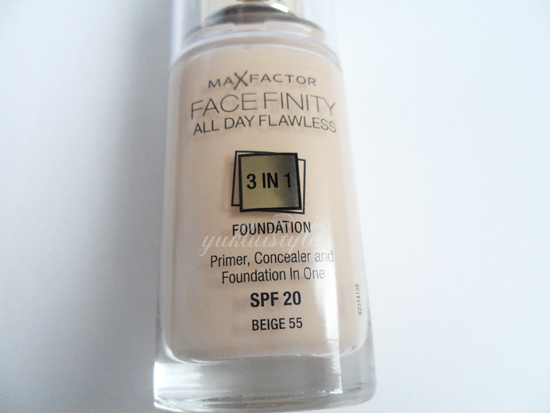 Applying all 3 can be time consuming, but this foundation will reduce your make up routine time and great for busy bees. The packaging is perfect. It has a pump which is hygenice and you can lock the pump to prevent any accidently presses in your bag if the lid comes off. Can control how much you pump out. Can also save you money in a long time. I do recommend this product, but to those who have light skin tones, oily skin and want good coverage. 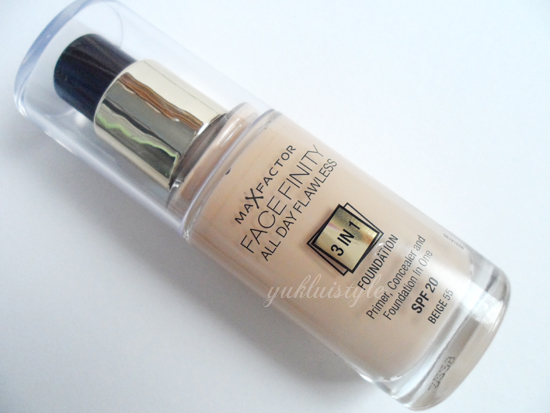 I tried this foundation too and I really liked it! It helped cover my face without smothering it, and the make up stayed put all day despite my oily skin 🙂 I gave it 5 stars out of 5! I have learned lot of things from it аbout blogging. I have a goldenish and pinkish skin, it is a bit weird i guess, my skin is fair but not too pale yellow undertones on my eyelids and pinkish on my cheeks. I was wondering if I could mix 2 of this one for yellow undertones and the other with pink undertones… What do you think?